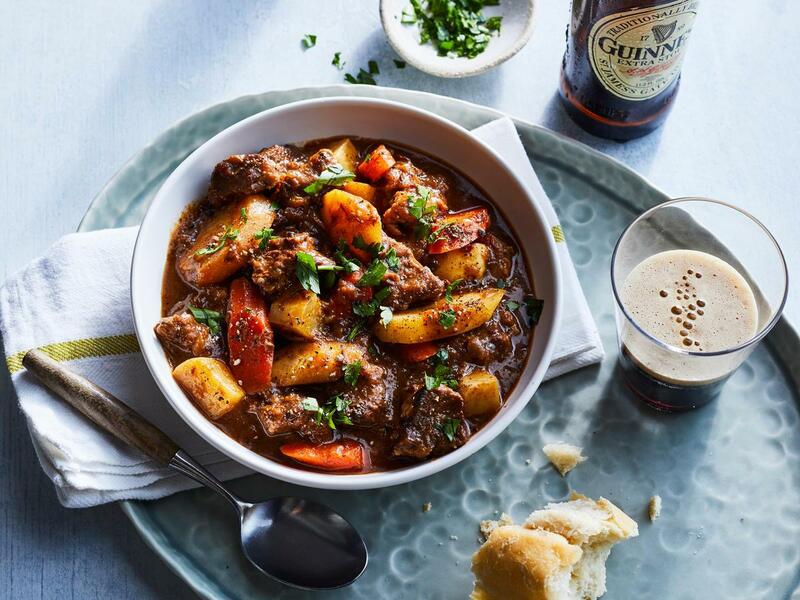 Just in time for St. Patrick's Day, here are two simple Irish stew recipes. If you're looking for something savory and comforting, give these a try! Finding just the right recipes for an American kitchen was a little tough. 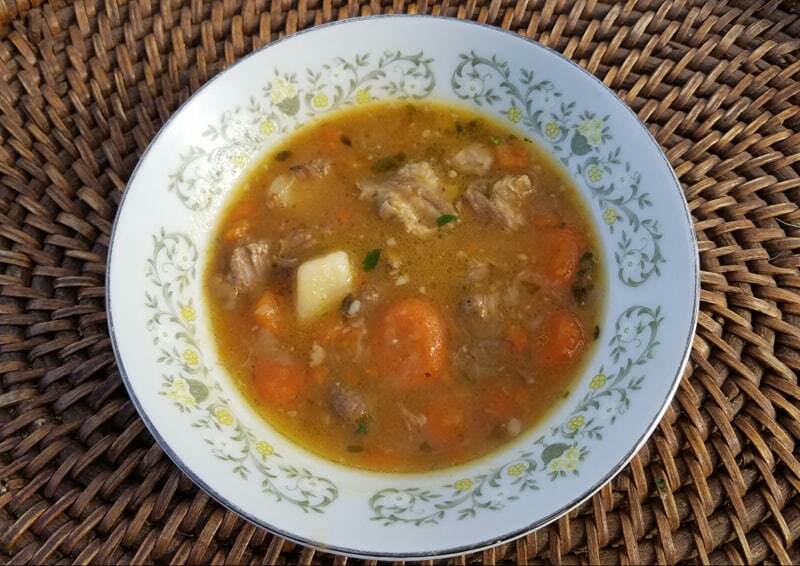 We can't easily get mutton or lamb stock, so I settled on creating a variation of an Irish home cook and a hotel chef's version for the traditional Irish lamb stew. I couldn't find lamb stock, so I made broth using roasted lamb bones simmered in water. You could always skip that step and use chicken broth. Preheat your oven to 400 degrees. Slice the lamb from the bones, chop the meat into chunks and set aside. Salt the bones and roast them in the oven for 15 minutes. Simmer in 4 cups of water for about an hour. Strain and set aside to use as broth. In a Dutch oven, over medium-high heat, melt the butter and brown the lamb, stirring occasionally, for 2 minutes. Add the carrots and onion and sweat the vegetables for an additional 2 minutes. Add the lamb or chicken broth, enough to cover everything, and supplement with water if needed. Season with salt and pepper, then add the bay leaf and sprigs of thyme. Reduce the heat to low and simmer for 90 minutes, stirring occasionally. Fish out the thyme and bay leaf, then add the potatoes and a cup of water. Simmer for 40 minutes, making sure to stir halfway through. Most people think this recipe tastes better the second day, so this would be a great make-ahead meal. For the second dish, I went straight to the source, a chef at Guinness Storehouse, for their famous Beef and Guinness Stew. Their version calls for topping it with seasoned mashed potatoes, but I simplified it a bit and added the potatoes at the second simmer. Over medium-high heat, brown the beef in the vegetable oil and season generously with salt and pepper. Add the carrots, onion, and celery, and cook for an additional 2 minutes, stirring occasionally. Pour in 1.5 cups of the Guinness and half of the beef stock, add the bay leaf and thyme, then lower the heat and simmer for 2 hours. Remove the bay leaf and thyme stems and add the potatoes to the pot. Stir in the remaining beef stock and return to simmer for 45 more minutes. Notes: Of the two stews, the Beef and Guinness version was a bit more complex. I brightened up both of them with a bit of chopped celery leaves, but I think I'd add chopped parsley at the end in future attempts. I loved how simple and hearty the lamb stew was, and I can't wait to make it again. If you like your stew on the thicker side, lightly flour the meat before you brown it in either recipe. 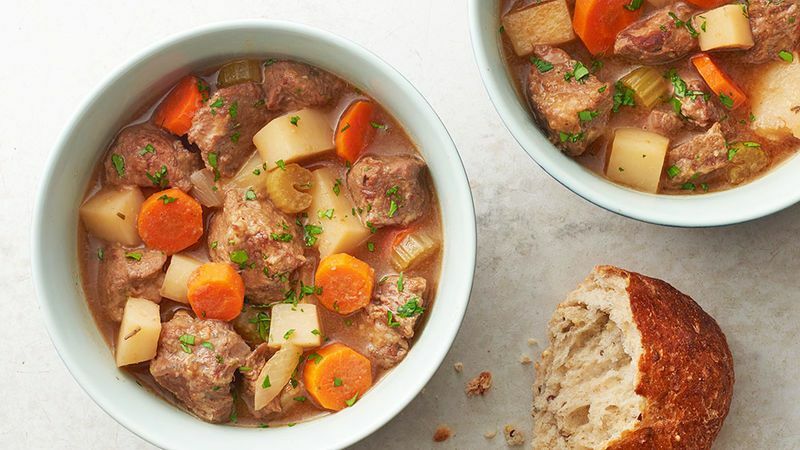 Do you have a favorite Irish stew recipe? Tell us about it in the comments below! Need more great recipes? Check out this recipe for mussels in tomato broth -- yum!